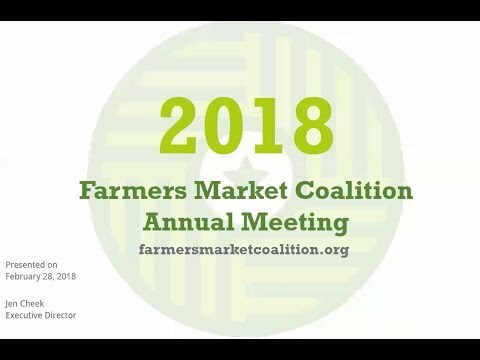 The Farmers Market Coalition is a 501(c)(3) nonprofit organization. Our operation is possible with the support of groups and individuals who share our vision of farmers markets as the nexus of community. All contributions are tax-deductible to the full extent of IRS law, and we pledge to use your contributions wisely. Donors will receive a confirmation of receipt on organizational letterhead for tax purposes.